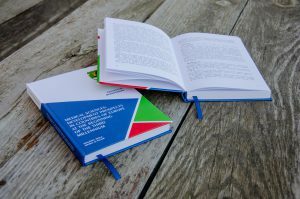 The Polish University of Economics in Stalowa Wola (Wyższa Szkoła Ekonomiczna w Stalowej Woli) organised activities for elaborating a series of collective monographs. Thus, a monograph which is devoted to the topical issues of medicine was among publications of the series. The topic of the monograph “Medical sciences: prospects for the development in the European countries at the beginning of the third millennium”. 14. «Surgical treatment by the meningioms of the back cranial fossa of paratruncal localization with the use of a combined method» (Authors: Chmut Viktor Oleksiiovych, Cand.Sc. (Medicine), Senior Lecturer at the Department of Neurosurgery, Kharkiv National Medical University; Lakhtyn Pavlo Valentynovych, Senior Research Scientist (the Department of Neuropathology and Neurosurgery)). Authors of the collective monograph will receive 3 copies published by the European publishing house “Izdevnieciba” Baltija Publishing” (Riga, Latvia) and a certificate confirming participation in elaborating a collective paper.